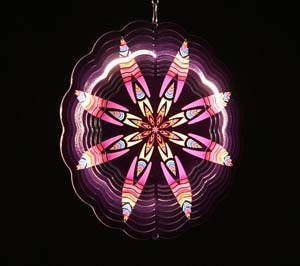 Our Eycatchers will brighten up any home or garden. 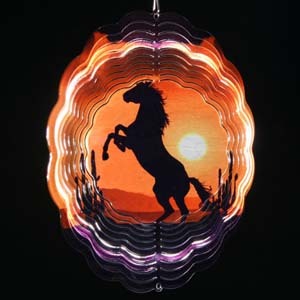 Each piece is laser cut from 18-gauge metal and then sculptured to create the pleasing sight as it spins in the wind. 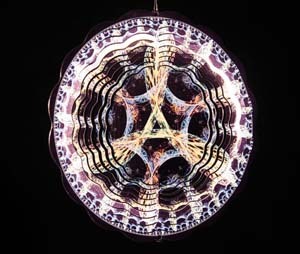 A powder coat paint finish is applied to bring out the neon light brilliance and reflection. Classic designs are our proven top sellers. 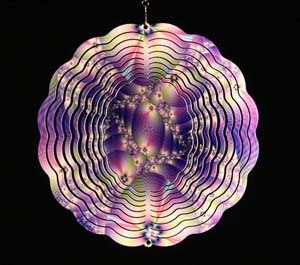 Find the best mix in colors and designs of the original Eycatchers reflective wind spinner. 1 lb to 3 lbs in weight.